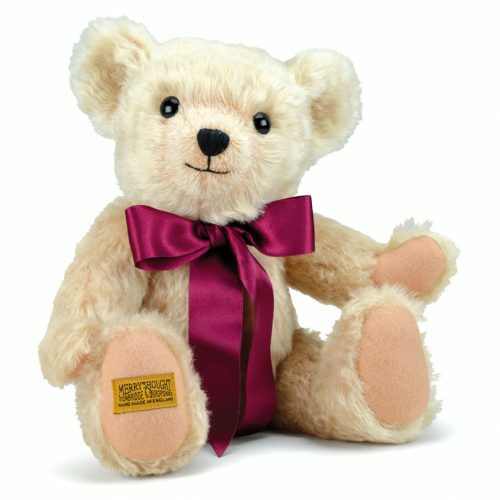 Made of super-soft rich cream mohair, Henley has pinky-beige wool felt paw pads, complemented by an opulent burgundy bow. A short-trimmed muzzle highlights the beaming smile on this simply adorable teddy bear. His friendly personality ensures that he really is a bear to fall in love with. Fully jointed and filled with polyfibre and plastic beans.